Healthy feet need healthy shoes! To enjoy a healthy, active lifestyle, taking care of our feet is vitally important. 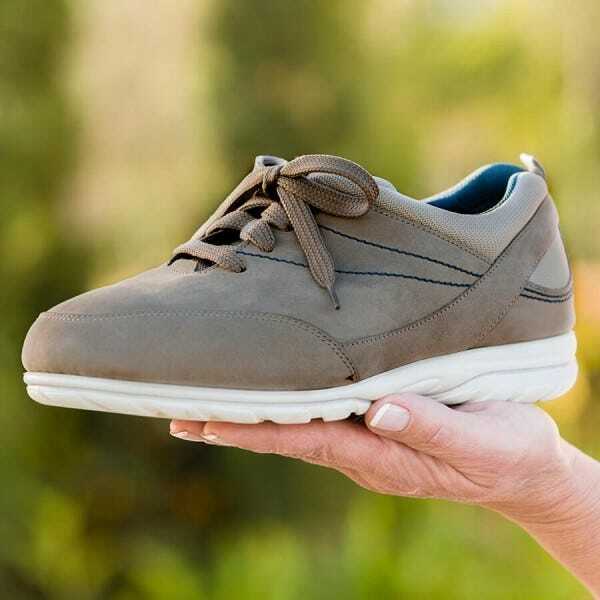 Footwear can have a significant effect on foot health and general well-being so choosing appropriate wide fitting shoes is essential. Ensure both shoes are on, correctly fastened and weight evenly distributed on both feet. If you use any form of insert (orthoses) inside the footwear, this must be in place before the fit assessment is conducted. There must be a minimum of 6mm, preferably 10mm, in front of the longest toe. The natural shape of the footwear forepart should not be distorted by the foot - this may indicate pressure on the top or side of the toe and toe joints. When drawing a thumb or finger across the forepart of the footwear there should be a slight rippling of the material but not a significant crease that would indicate the shoe is too wide. The toplines of the footwear should be neatly against the sides of the feet with no pressure on bony protrusions such as the ankle bone or the top of the heel curve. The fastening must grip the foot and allow further adjustment if required. The shoe grips the foot and does not slip. The sole flexes easily in the forepart. The heel provides a stable platform. The outsole does not slip on the surfaces the wearer will normally be walking on. The upper material flexes with the foot and returns to its original shape. No pinching or pressure is felt by the wearer whilst walking.